September 24th, 2015. The Digimon World -next 0rder- title site has updated with an introduction to the game, the official character profile of Oofuchi Himari, and the TGS2015 promotional video. The updates--which are translated below--reveal the game's aim to recreate the original experiences of Digimon World, and also hint at something darker hiding in Himari's past. Digimon World -next 0rder- is the Digimon World series' latest work, returning to its original theme of "the fun of adventure with the player's Digimon partner." On that day, when the radiance of your heart trembling with memories lights up, the door to an unknown adventure will open. —The forgotten gift of memory. 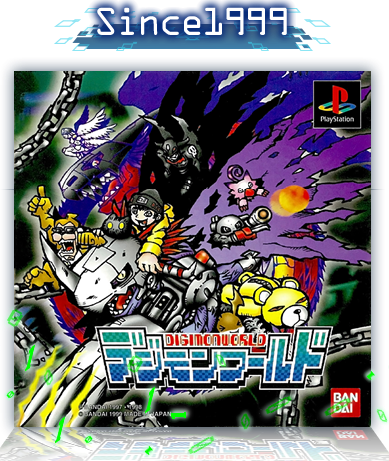 As feelings from long ago throb violently in your chest, the Digivice starts up. In the next moment—a pure white light envelops your body. You open your eyes on a strange world with no entrance nor exit. An unknown threat steadily comes, crushing and confusing. Your nostalgic partners rush in to confront it. The broken connection is restored, and a miracle occurs. The last summer vacation of high school. A miraculous radiance lights up on the opening of a door to a new adventure—! "Well, there's no use thinking about it. Let's go, Rikka." A third year student in the same high school as the protagonist. A stable and strong-willed person, although it appears that the moment she gets an idea into her head she immediately goes into action without a second thought, she's actually the type to suppress her own feelings and work hard for someone else. She wandered into the digital world at the same time as the protagonist and Kouta. Her partner is Rikka (Plotmon). Himari's partner. She has a spoiled personality, and always sticks close to Himari.